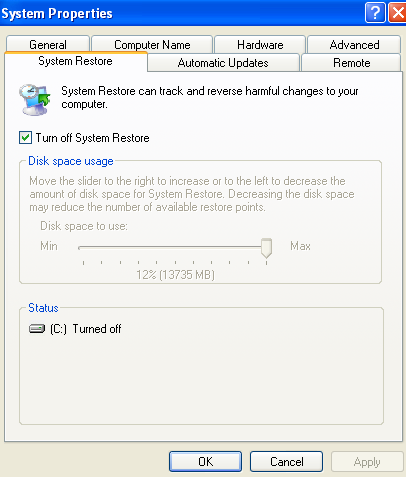 Step 3: Boot into Safe Mode instead of booting normally into Windows. Step 4: Search for core.sys. Click on Start and then Search and type core.sys. If the search results return any core.sys results, delete them. Again, in Search, type core.cache.dsk. If you find core.cache.dsk instances, remove them too. Step 5: Clean the Registry. Press <Windows Key> + R which will open the run command. Now type in regedit. Under HKEY_LOCAL_MACHINE, click the plus sign(+) . Here you will see CurrentControlSet and in some cases, CurrentControlSet1 and also CurrentControlSet2. Under each one of the CurrentControlSets, click the plus sign(+) next to Service. Scroll down and there will be a folder called CORE. Right click on the folder and Delete it. Do the same for any remaining CurrentControlSets. 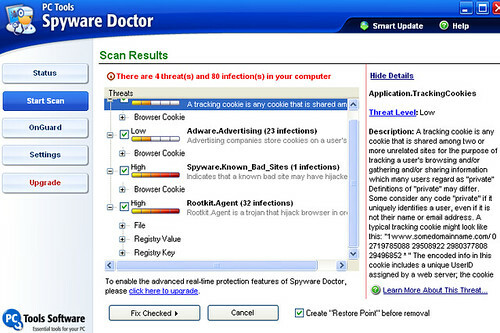 Under the PC Tools Spyware Doctor, run a complete system scan for spyware and adware removal. You have successfully removed Zero and URL.cpvfeed.com popups and core.sys rootkit.